As Allison was preparing this drink for me at her bar, I quipped, "You're trying to get me dahruuuunk." And true, it's a very spirit forward drink, but it's still incredibly balanced. The gin is big enough to punch through all the aromatic elements of the other half of the drink, and still delivers a nice crisp note that plays well with the amari. And while only a quarter ounce of Fernet was used, it certainly goes a long way. Note again the subtle use of orange to round out the bitter flavors. 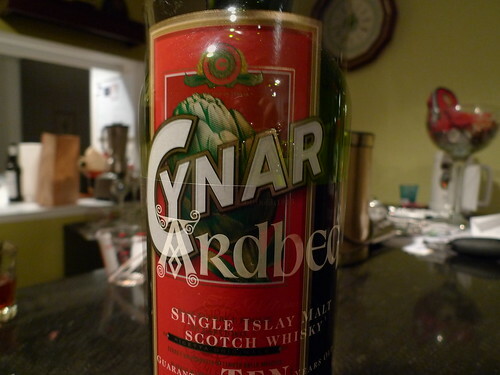 Cynar. Islay Scotch. Whole egg. As the name implies, the Black Diamond Flip is a cocktail that's for advanced drinkers only. The disparate elements combine to create some interesting alchemy. The intense vegetal flavor of Cynar, the rich egg, and the smoky Scotch create a chocolate flavor that doesn't exist in any individual ingredient. The nutmeg, in addition to providing a nice aromatic quality, helps sustain the mid-palate as the initial chocolate flavor yields to the more expected bitter and peaty notes. I've been citing this drink a lot lately with the release of Jacob Grier's book The Cocktail Collective, in which this cocktail is presented. The Black Diamond Flip has also appeared on the menu at Liberty in Seattle's Cap Hill neighborhood. 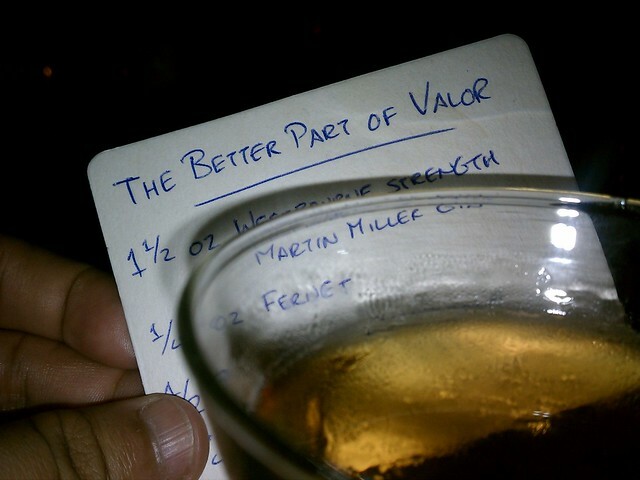 Chris Bostick at The Varnish in Downtown LA also made an excellent rendition using Bowmore instead of Ardbeg. I credit Justin Pike from The Tasting Kitchen in Los Angeles for introducing me to the Aperol and Bonal combination. A cocktail appears on his menu that uses all amari as ingredients. 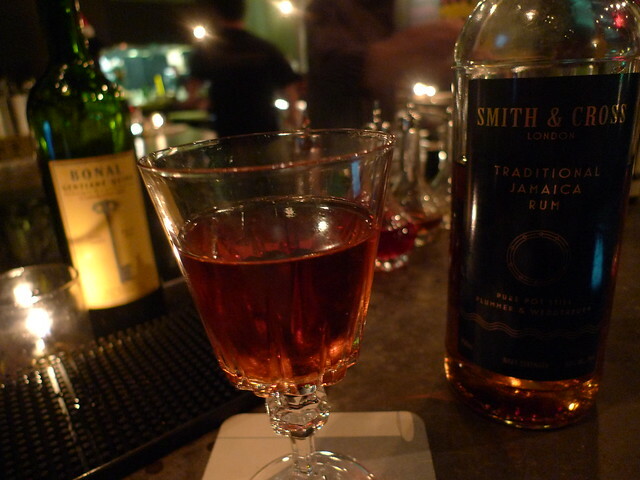 I find that the Smith & Cross rum takes the bitter elements away and replaces it with funky and sweet notes. All three ingredients could dominate a drink by themselves, but perform remarkably well when mixed together. The grapefruit peel provides just the right amount of acidity to balance the drink out.